After enduring kidney dialysis for years, a conversation Martin Ruiz Zermeño had at his dialysis center with Mayo Clinic social worker Jeffrey Welch paved the way to a successful kidney transplant. Brian Bell lived with Type 1 diabetes for more than 20 years, until a combination kidney-pancreas transplant offered a chance to rid him of the disease. Now he’s making the most of his fresh start. 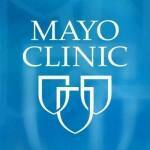 Mayo Clinic saved my life. Not once, but twice. Kent Larson’s visits to Mayo Clinic have involved multiple surgeries, some of them nearly 50 years apart. Here Kent shares his story of the life-changing care he’s received. A host of serious medical problems put Ron Hale on a downward spiral of deteriorating health. But a liver and a kidney transplant at Mayo Clinic stopped Ron’s decline and dramatically improved his quality of life.